Listening to the Harbeth, it's hard not to think that many modern loudspeakers forgot something along their path toward maximum resolution, wide frequency response etc. They forgot about the basic raison d'être any audio devices should cultivate in general, not just loudspeakers: communicativeness. Not that I would praise backwardness. I am sure many companies are going the right direction trying to truthfully reproduce what's on the disc (vinyl, silver or hard). Still, listening to loudspeakers like the Super HL5 shows that we cannot forget how in the end, audio is a means to a joyous end and not just about stress-related flaw finding - with the music carrier, the equipment, our hearing and the universe at large. Those are all important matters, not on their own but as markers that point towards exceptional resolution, true timbre etc. But, they cannot stand alone without everything else losing context and sense. Something has to accompany those things, some added value. And these Harbeth are fully loaded with that added value to make us forget about the mechanical nature of what we hear. In that context I think it most important to show the mechanism whereby this kind of reproduction is accomplished. An important role is played by elements that differ markedly from transparent loudspeakers like my Harpia Acoustics Dobermann, the Wilson Audio Duette and others. I think that our British loudspeakers here have only average resolution, with staging that does not exceed the competition. But those are elements integral to any reproduction and not something I wish to bash. For a long time I pondered the essence of the Harbeth phenomenon. I meant to understand why I enjoyed listening to them so much, why so many people would cross hell claiming this the best sound in the world. Switching from my reference loudspeaker, we immediately hear what I just wrote - a modeled frequency response. The upper midrange and treble are slightly withdrawn compared to the 600Hz to 2kHz region. The lower bass is shorter and slightly drier than over my Dobermann, not to mention even large speakers like the A.R.T. Loudspeakers Moderne 10. And still, despite being stand-mounted, they have superior bass that is more expansive and better controlled than the large subset of medium-sized floorstanders. Harbeth bass has better timbre and communicativeness than for example the otherwise brilliant Spendor A6 or Chario Constellation Pegasus. While perhaps not ultra-precise, its definition is splendid and very well connected with its timbre. The bass is alive and in good proportion to the remainder. It seemed that the 100-200Hz power region was a bit elevated because the characteristic sound of the needle hitting the vinyl at the beginning of a disc was stronger with the HL5 than usual. Ditto for the slight hum I could not rid the Thorens TD160HD with Rega RB250 arm of regardless how much I tried (I think that was due to the fact that Rega connects the tone arm ground to the signal ground). This hum was audibly clearer than elsewhere. But this did not translate into an emphasis nor decceleration of the bass range. Frankly, this really was a splendidly saturated active bass which reached incredibly low for the given cubic enclosure volume. But not always. With well recorded jazz like the direct-to-vinyl The Bassface Swing Trio Plays Gershwin, it was clear that these are smaller speakers than floorstanders. The contrabass was a bit drier and its reverb shorter than with the Dobermann. Perhaps this was a function of the enclosure bass-reflex tuning. With that type of music, bass was less saturated than over my reference system. This was not true however when comparing it to other stand-mounted speakers. Then the Harbeth showed what true bass really is. And with electronic music, it behaved completely different. Yes, lovers of that genre should listen to the HL5 with some good electronics. The Tour The France Kraftwerk CD was incredibly clean -- this is one of the trademarks of these loudspeakers -- and shockingly dynamic. On "Elektro Kardiogram" with its powerful low bass, the woofers touched the grilles so I had to remove them. 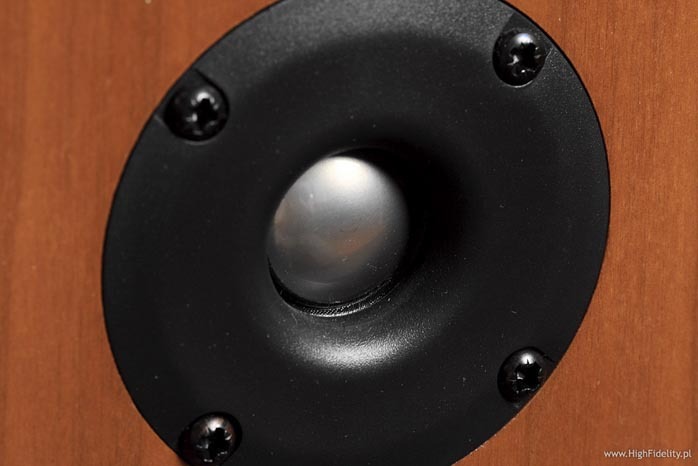 Although Harbeth takes its measurements with the grilles on and recommends listening that way, I was tempted after some time to say that it is better to take them off. Bass on certain vinyl discs in particular, is so dynamic and strong that the grill material flutters. Taking it off also opens up the upper range and that's important. As mentioned, the upper spectrum is slightly recessed. 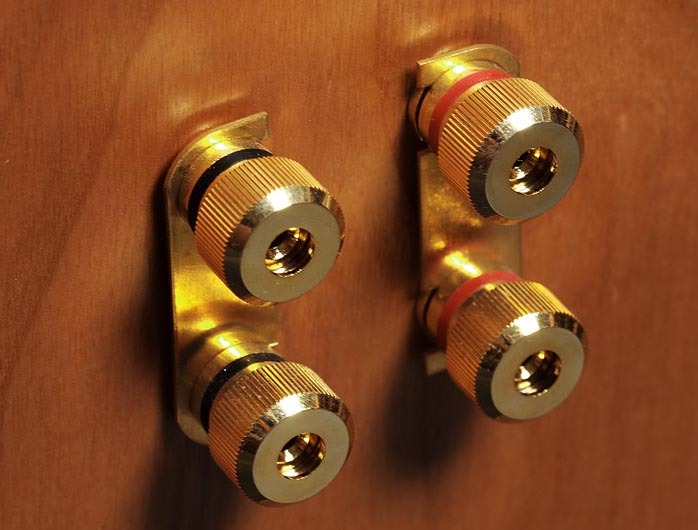 This is not responsible for the hard midband attacks, a quality quite strong with the Harbeth. We should select our electronics wisely (Simaudio Moon, Audiomatus, Audiolab come to mind) as recordings can sound shrill at times when their sound engineer messed up as on the otherwise brilliant Briefly Shaking by Anji Garbarek. That also showed splendid bass extension, a very clean midrange and an extremely well-captured definition of the musical event as a whole (I mean the ability to play beside the sound, to make music). The Garbarek disc was issued as Copy Controlled Disc with the Cactus logo. It makes me sick when companies embrace this kind of protection that's audible as a sandy treble and hardened midrange. This loudspeaker won't tolerate it as well as certain ultra-precise models which can still extract something more useful from such discs. Ditto for parts of the midrange from the Depeche Mode Sounds Of The Universe -- vinyl as well as the Japanese CD -- but that was not a dominating experience. Dominating was the impression that everything was in place and that the music flowed. I had somewhat mixed feelings with jazz discs and 60s/70s recordings like The Beatles. As you probably know, on September 9th 2009 the Japanese plan to reissue the complete discography of that band -- mono and stereo versions -- in the digital domain for the first time. You can find information about it here. Before that happens, I wanted to refresh my memory of the year 2000 Toshiba-EMI re-edition I already own. I started with my favorite Rubber Soul album. The Harbeth played it incredibly committed, full and deep although at times it was clear that it could not differentiate the vocalists with the consummate ease of (or create as deeply a stage as) my reference system. But those are items I already covered. Still I was listening, changing tracks, then discs while inhaling the coherent and strong sounds with pleasure. And this is the way those discs should be read. They are phenomenally communicative. They show music as it should be shown - in a coherent complete fashion. They are not especially resolved and the soundstage is not particularly expansive. Due to splendid microdynamics and very good reproduction of the size of the instruments however, we do get a very intense and involving presentation. So yes, the Harbeth are loudspeakers whose sound is based on the midrange yet they do not underline that fact. Bass is fantastic to prove that British sound no longer equates to speakers that suffer truncated bandwidth. Perhaps the treble could be stronger but I won't go on about that. We should take care of the stands. The better those are, the better the speakers will perform. 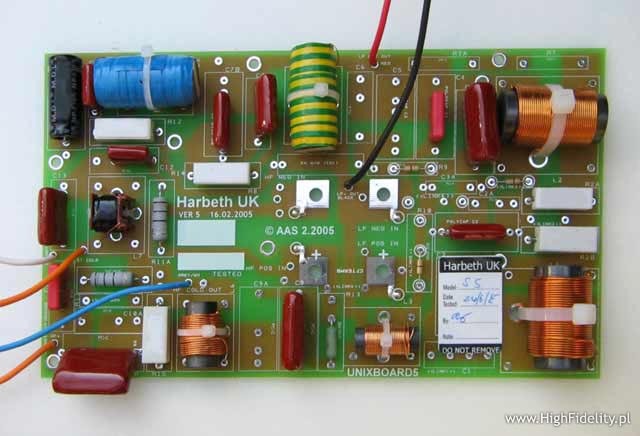 According to the distributor, Harbeth does not offer any so you will have to search elsewhere. I know that the Polish Stand ART makes some massive 'closed' designs by request. Rogoz Audio also offers stands for such speakers. The British Hi-Fi Choice magazine mentioned the Kudos 100 stands in their October 2002 review and in the Harbeth owner's manual we can see other open-frame options. The Japanese do it differently. They use open wooden stands resembling stools. Regardless, proper height is important, somewhere between 35-40cm. I think that the Super HL5 performed best when its tweeter was a wee bit above the ears. Then it was beautiful.